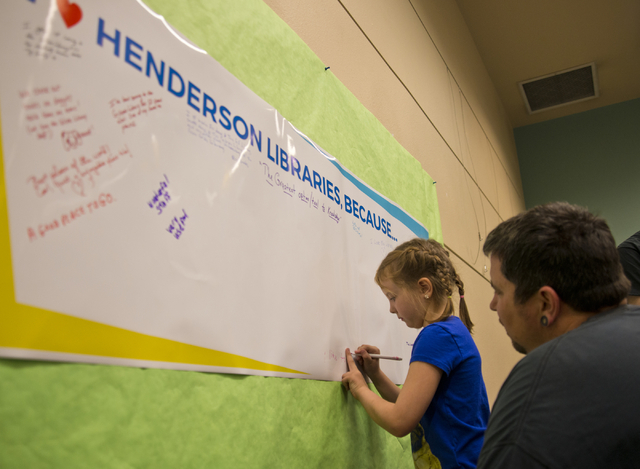 Between the new logo and a major redesign, visitors to Henderson Libraries’ website may not recognize it. The revamping is part of the library system’s push to promote offerings involving electronic media. Between the new logo and a major redesign, visitors to Henderson Libraries’ website may not recognize it. The revamping is part of the library system’s push to promote offerings involving electronic media, which took center stage March 1 during reception-style events at the Gibson Library, 100 W. Lake Mead Parkway; the Green Valley Library, 2797 N. Green Valley Parkway; and the Paseo Verde Library, 280 S. Green Valley Parkway. 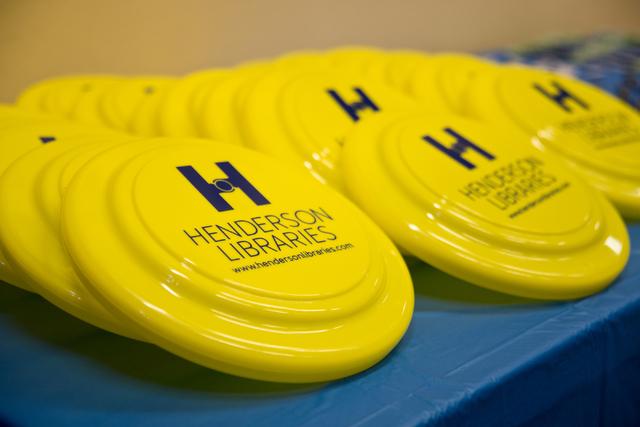 At the Green Valley Library event, tables were set up in the gallery space featuring refreshments, small promotional items bearing the new Henderson Libraries logo and information about programs and services. 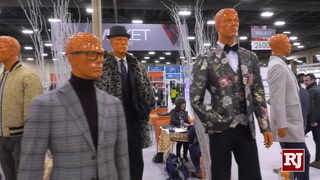 “We want to give people the opportunity to see the library in a new way,” executive director Angela Thornton said during the event. She said some library patrons may be unaware that their membership allows them to watch movies and TV shows, listen to music and read the most recent issues of magazines and other periodicals. Thornton said Henderson Libraries plans to introduce a new digital library card in the next couple of months to make it easier for patrons to access such content. Brochures for those types of offerings were arrayed near a wide-screen computer monitor that sat atop one of the tables, displaying the revamped website, which was retooled to be more compatible with mobile devices, such as tablets and cellphones, said digital branch manager Joy Gunn, who helped design and write code for the site. 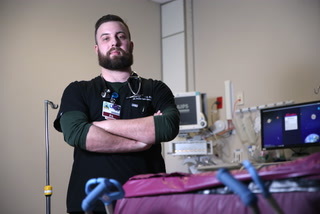 It took seven months to complete and also was made to be more user-friendly, Gunn said. 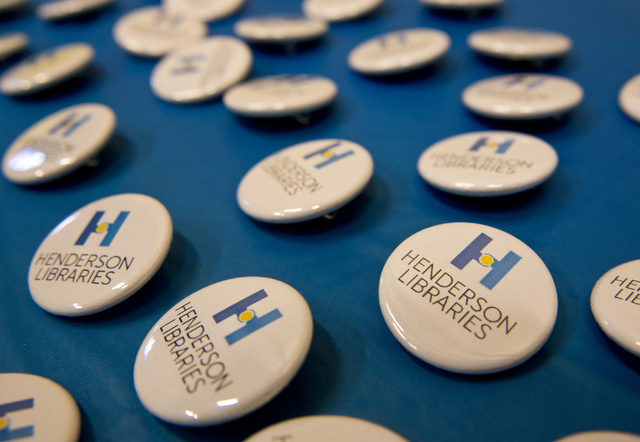 Henderson Libraries used existing staff to revamp the website, and it also contracted with a company called Communico for $8,000 annually to provide the platform, host the website and assist with some technical details. 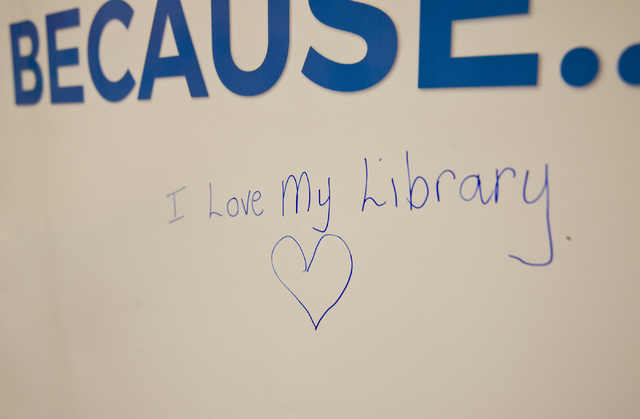 The home page includes image-based links to library branches, a feed showing upcoming events, holiday closure listings, recent Henderson Libraries Facebook page posts and links to budget reports, policies and contact information for library administrators and managers, among other information. The website is accessible via a new url: hendersonlibraries.com. The old url, mypubliclibrary.com, redirects to the new domain. 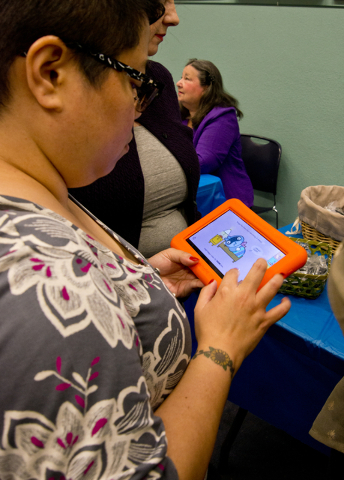 In conjunction with the push to promote digital content, the district spotlighted its new Playaway Launchpad devices for children ages 3 to 10. 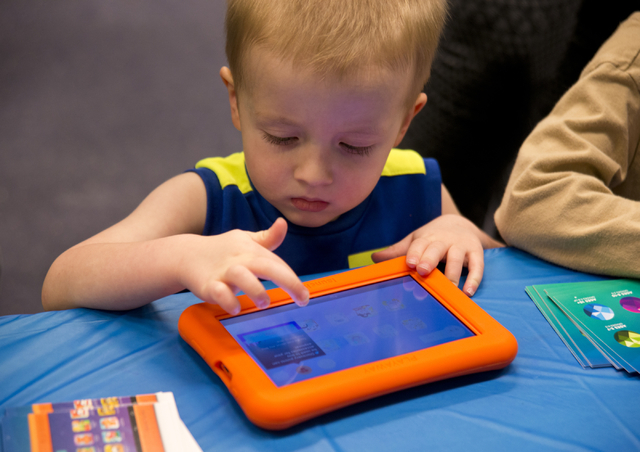 The Launchpads, which can be borrowed like a library book, feature 7-inch screens and come with educational apps dealing with subjects such as math, science, animals and language. Several of the devices were displayed at the event. 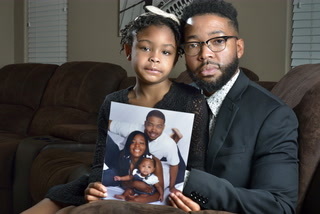 “It’s geared for them exclusively,” said Cameron King, whose 6-year-old daughter Aisleigh was exploring one of the devices. 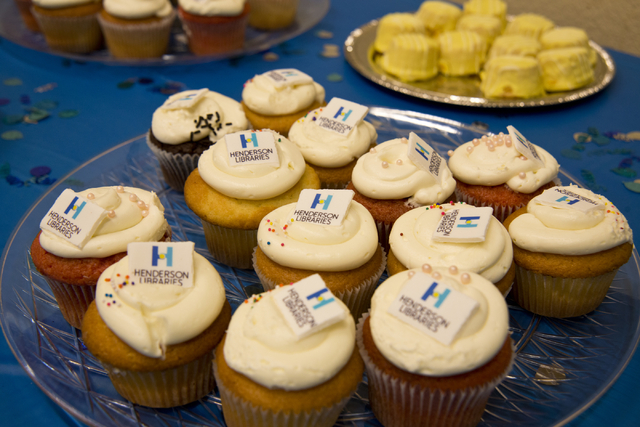 Henderson Libraries purchased 100 of them using $10,000 raised by the Henderson Libraries Foundation, Thornton said. 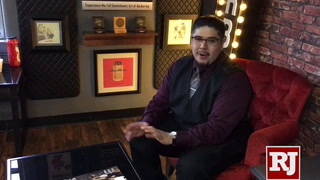 King said the devices, which feature a protective rubber case and come with a charger, were beneficial because children who use them won’t be exposed to games and other content geared toward adults. 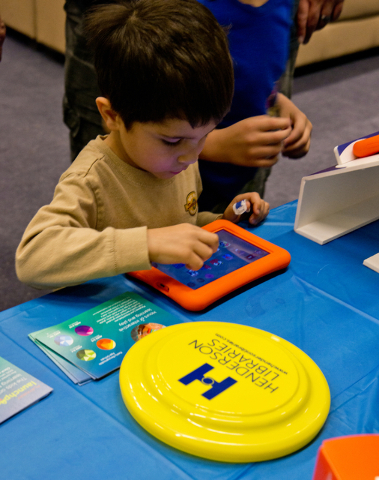 The Launchpads also are a good primer for children as far as technology goes, said Assemblywoman Ellen B. Spiegel, who attended the Green Valley Library event. “It helps train our kids to function extremely well in the world,” said Spiegel, a former president of the Friends of Nevada Libraries, which is no longer active. 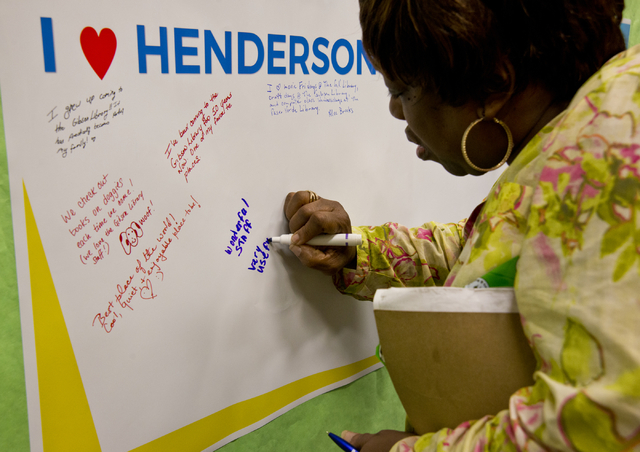 To reach Henderson View reporter Cassandra Keenan, email ckeenan@viewnews.com or call 702-383-0278. Find her on Twitter: @CassandraKNews.